The California law, AB 2056, lets pet owners understand exactly what is covered by an animal’s health-insurance policy. Trying to figure out which type of pet health insurance you should purchase for your pet can be confusing. Also, with so many pet health insurance companies offering multiple policies, the choices can be overwhelming. In California, thanks to a new law requiring pet health insurers to disclose information about reimbursement, limitations on coverage, waiting periods, and deductibles, buying pet health insurance in the state will get easier. 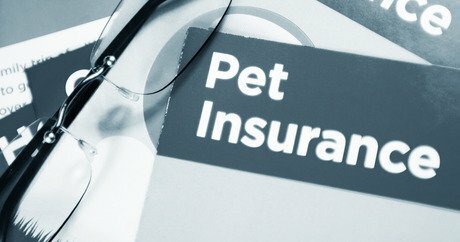 The new law, which goes into effect on July 1, 2015, pet health insurers must disclose information about what is covered. One of the most confusing parts of pet health insurance is the limitations. Under this new law, pet parents will know if they will be reimbursed for pre-existing conditions, heredity disorders, congenital anomalies or disorders, and other limitations. California Governor Jerry Brown (D) recently signed AB 2056, a bill that adds consumer protections for pet parents buying pet insurance. This puts California as the first state in the nation to adopt this sort of law. The law will enable pet parents to understand exactly what is and what is not covered by pet health insurance policies. Unfortunately, many people who purchase health insurance policies for their pets find out later that the policies do not cover pre-existing conditions or heredity-based conditions. Jones tried first authored a similar pet insurance consumer protection bill in 2008 that bill was vetoed by then Gov. Arnold Schwarzenegger (R). This new law received support from numerous animal welfare organizations including the Humane Society of the United States and the American Society for the Prevention of Cruelty to Animals.